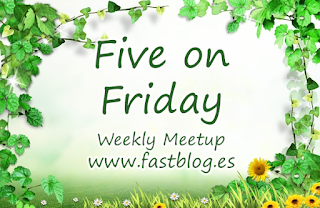 Five on Friday - A Busy Week! When we go on our hikes we try to keep our eyes peeled for edibles as we go, knowing where things are and keeping tabs on them for when they are ready is a great thing to teach to the children and they love learning about plants, particularly Aurora who has the appetite of a herd of cattle so is very fast to learn anything food related! 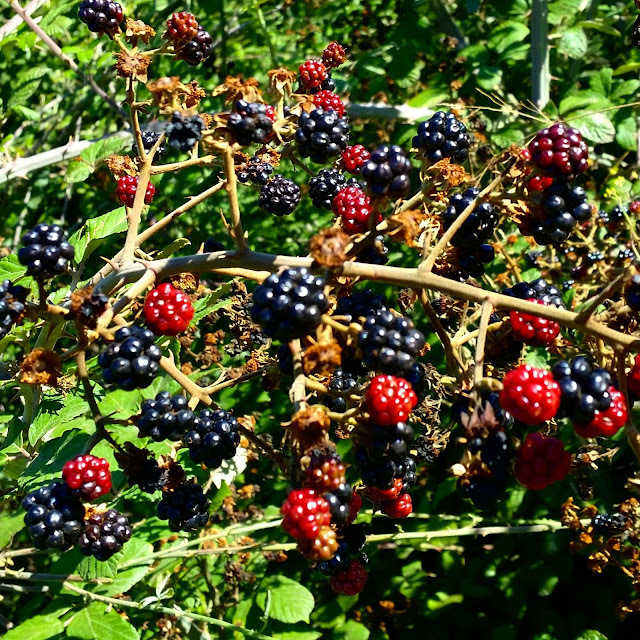 Recently we picked probably the last of the blackberries from along the trail as the birds will no doubt take the rest before we get a chance to hike up there again. 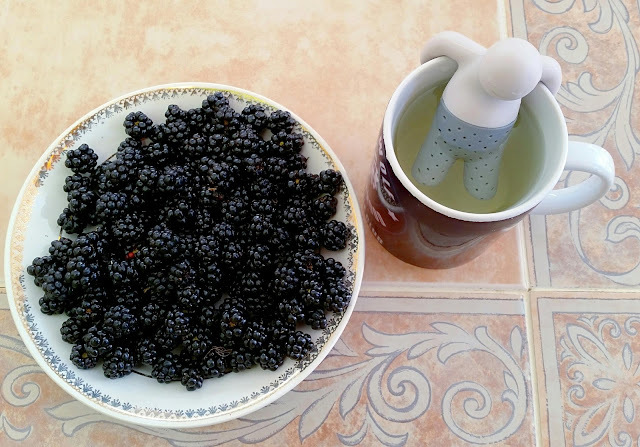 The blackberries in the mountains are very small due to the harsh conditions and scarcity of water but the flavour is immense and far better than the bloated flavourless rubbish overpriced in the shops. The almonds are all ripe and ready on the trees so we have been spending countless hours cracking almonds. 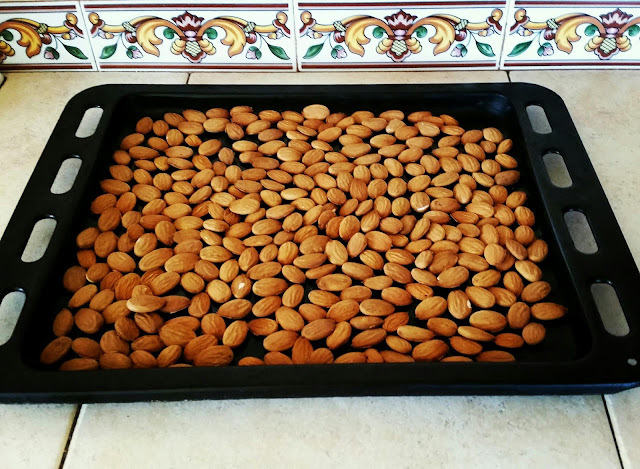 The kids love to eat them raw from the shells but we've also been trying to use them up in our baking as well, and of course making Almond Butter is a real bonus of having access to abundant fresh almonds. It's incredibly easy to do and without any ingredients other than roast almonds you end up with a delicious creamy Almond Butter, way better than Peanut Butter and without any nasty additives at all. 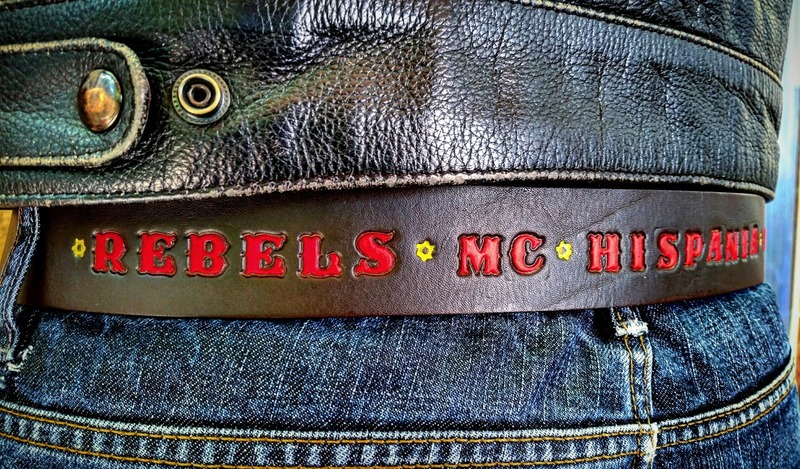 Another one of the things we've made recently is this custom leather belt. It was the anniversary of our friends in the Rebels MC Hispania so we made this belt as a gift and took it down to their clubhouse for them. I think it has come out beautifully and have decided to start selling this type of thing in my shop Thor's Threads soon. We already do small leather patches but I think these belts will go down a storm with other bike clubs and people in general! So after a very busy week all that was left to do was sit with my feet up eating delicious natural snacks and drinking Hierba Luisa Tea, I feel as chilled out as my Little Tea Strainer Man looks! I hope you all have a blessed weekend, thanks for stopping by for Five on Friday! Great idea to keep the puppies inside ! I would love to eat the berries they look so yummy ! Haven't seen very much of them this year ! The belt look beautiful ! I just came back from London yesterday evening for me it is so easy to go there it takes me 2 h from Brussels to London and only half an hour for the check in ! It's quicker then to go from one end to the other of Brussels. The berries look so good. The blackberries in my garden are rotten because of the rain and cold. Those almonds and the wild blackberries must be very tasty. I miss the fruit and nuts which we gathered from our land when we were in Italy. As always an interesting post. Thank you for hosting Five on Friday. Here's a question, how do you know when your almonds are ripe? We are getting our first harvest (several years after planting the trees) and I have "check on them" a couple of times. They have not been ready, and I am not sure how to tell when they are. We love our small, wild blackberries here too. Such intense flavor! Blackberries is one of my favorite summer pleasures! Would love to have some vines myself. Getting them from the wild is always the BEST! They always bring back such memories! Loved seeing the yummy almonds, too. Tell us what to do after they are baked, to make the almond butter. What a great environment for your children....I know I have said that before, but they are living in an amazing place with you and your wife, being surrounded by such natural joys! Love the belt...hope the shop grows and you have lots of customers. The "puppy gate" was a great idea! It looks wonderful! Thanks for hosting and have a blessed weekend! And your almonds remind me of my grandparents tree (both tree and grandparents now long gone). Every year my grandfather would pick all the almonds, and argue with the cockatoos and parrots that would try to steal them. Roast almonds are definitely a fav. This post reminds me of so much! 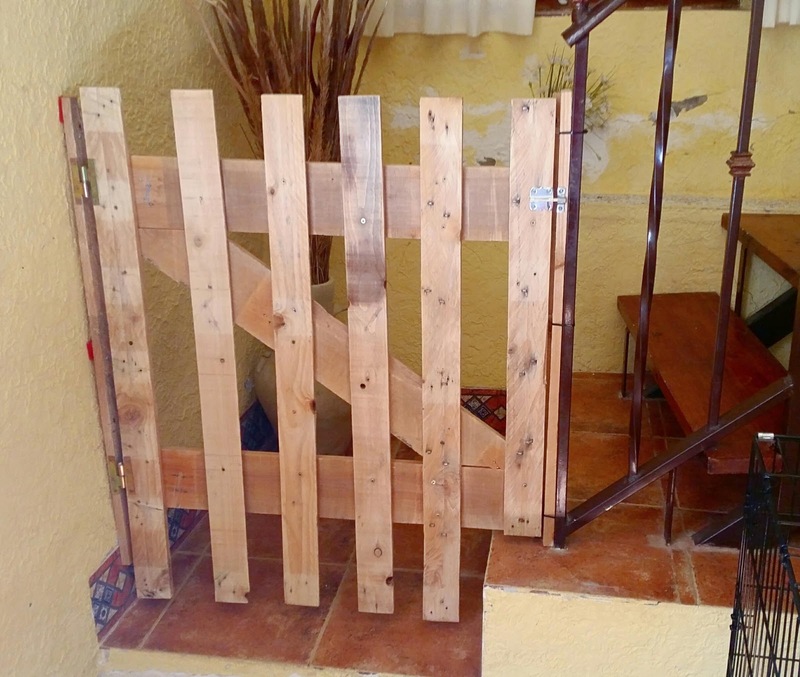 Your leatherwork is excellent and congrats on tackling the woodwork. Looks fabulous. I liked that belt a lot. I expect you can sell a lot of those. The almonds sure looked good. When I was a kid , there were almond orchards near our house. I love those things. Sure does seem like you made the right decision to move the family to Spain, you all seem to be very happy there.